For Bianca Bosker, the wine epiphany that would change her life happened while sitting in front of a computer screen. She reveals how she got hooked, what jumping in at the deep end taught her about the industry, and why her new book Cork Dork deviates from the wine world’s typical script. You have enjoyed a hugely successful career as a journalist, editor and author, largely covering architecture and technology – how did your wine story begin? Before my Cork Dork adventure began, I was working as the tech editor for an online website, which meant I spent most of my waking hours at screens. I realised that next to these sommeliers, I was living a life of sensory deprivation rather than sensory cultivation, and I got fixated on this question of what was I missing—not only in a glass of wine, but in life. I could put my nose into a glass of wine and, on a good day, tell you I was sniffing wine. And I was flabbergasted that the pros had honed the sensory skills I associated with bomb-sniffing dogs. For sommeliers, stories emerged from smells and tastes. I wondered: Could I do what they did? Could any of us? And what would change? I realized I didn’t want to just write about “cork dorks”—I wanted to become one of them. So I quit my job, started over as a “cellar rat”—and began training as a sommelier. To outsiders, a life in wine can seem sybaritic. But as I spent time with sommeliers—getting coached on spitting, shadowing them in Michelin-starred restaurants, and undergoing some oeno-hazing—I grew fascinated by a world I didn’t see reflected in any coverage of the wine industry. These “cork dorks”, who put themselves through a stunning amount of pain in the name of a beverage of pleasure, are proof that what most “civilians” think they know about wine is wrong. As someone who’d never felt her spirit moved by a glass of fermented grape juice, I wanted to know: Why? How? What was your inspiration for Cork Dork; was there a particular conversation or experience that planted the idea? Most people have their wine epiphany while drinking expensive wine in some stunning setting. Mine happened at a computer screen. One night while out for drinks with my husband and his friend, a sommelier happened to mention he was preparing for the Best Sommelier in the World competition. To be honest, it sounded farfetched. But I quickly got hooked on binge-watching YouTube videos of the competition—essentially the Westminster Dog Show with booze. I’ve always been obsessed with obsession, and these sommeliers’ wine mania sucked me in. But it was the blind tasting that really unnerved me. Ever since Plato and Aristotle dismissed taste and smell as animalistic and dispensable, we’ve largely ignored these senses. Yet these sommeliers lived for flavour. They believed that beauty in flavour could affect us in the same way as beauty in art, or poetry. As someone who’d never felt her spirit moved by a glass of fermented grape juice, I wanted to know: Why? How? I was inspired to pull back the curtain on parts of the wine world that are rarely explored—the soul of wine and the science, the high and the low. Because to me, the reality is so much messier, more complex, and more interesting than the romantic picture our industry has traditionally showcased. 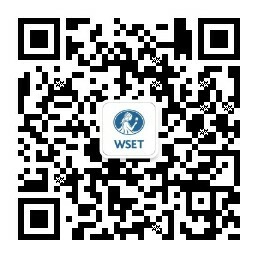 You completed the WSET Level 2 Award in Wines and Spirits – what did you get out of the course? My WSET training provided me with a great foundation, and I’ve encouraged others who are wine-curious to invest in the course. As part of my Cork Dork journey, I set out to take the Court of Master Sommeliers’ Certified Sommelier exam, which was perfect for me because I aspired to work the floor in a service role. For drinkers who don’t share that goal, however, I generally recommend WSET qualifications since they provide much more guidance. Having spoken to so many industry influencers while writing Cork Dork, how important do you think tastemakers are in informing the American consumer? So many different types of “tastemaker” conversations happen around food, from Instagram posts to luscious documentaries, but media coverage of wine has traditionally operated in a far narrower band. So I’m encouraged to see the roster of tastemakers—and the types of conversations they’re having—becoming more diverse than ever. Tastemakers have expanded far beyond critics and columnists. I hope this will help remedy a tendency I’ve observed, which is that historically the wine industry sometimes veers too far in the direction of talking at drinkers instead of to, or with, them. I’m concerned about how “influencers” in our world still too often tell people what to taste, instead of teaching them how to taste. The latter is, to me, the foundation for a more lasting relationship with wine (and food!). Among my goals with Cork Dork was to probe some of the industry’s inherited wisdoms, while also helping people take charge of their own tastes, and sense of taste. Your #Pairdevil series is a fun and audacious take on food and wine pairing, how do you think it reflects the changing attitudes of the American wine drinker? While researching Cork Dork, I found that even the most confident people are often still petrified of wine. They also have this idea of wine as an expensive indulgence best reserved for special occasions—an anniversary or birthday, not a Wednesday night. I remember very clearly what it was like to be overwhelmed by wine, and puzzled by why I’d ever spend $20 on a glass of wine. Now, instead of something for special occasions, I think of wine as something that can make occasions special. My goal with #pairdevil was to make wine more fun, less intimidating, and more approachable by providing inspiration for pairing wines with real life, slovenly as it might be. Hence me showcasing wines, at a range of price points, to pair with everything from hot dogs to Filet-O-Fish to packs of Ramen noodles. What predictions do you have for the industry, and what are your plans for the future? Rather than predictions, I have a few hopes. For example, I’d love to see winemakers, distributors, and retailers become more transparent about sharing the ingredients that go into our bottles, an issue I covered in Food & Wine. Additionally, in response to a story I wrote for Refinery29 about the sexism—and sexual harassment—that I experienced and that still plagues our industry, I’ve received personal notes from people who are also grappling with this, but don’t have a way to speak out or know where to turn for help. There is room for improvement and I hope we show that we’re up for it. As for what’s next… I see Cork Dork as a continuation of the conversation that I would have as a sommelier with guests. I hope to share the things I learned from my own journey from “cellar rat” to sommelier: with a greater confidence in our sense of taste comes a greater confidence in our taste in all things, and it’s by tuning into our senses that we can better make sense of the world. While those revelations can begin with a glass of wine, they certainly don’t end there. Bianca Bosker’s New York Times bestseller Cork Dork: A Wine-Fuelled Adventure Among the Obsessive Sommeliers, Big Bottle Hunters, and Rogue Scientists Who Taught Me to Live for Taste is out now from Penguin Books. Check out her #pairdevil series, posted every Wednesday on Facebook, Instagram and Twitter.